Completely renovated home in the desirable Calusa Forest.Around 2,000 sqft of living area that looks like 3000 sqft. Open spaces like no other house in this area.Modern Lightning,brand New SS Appliances and Stunning kitchen cabinets,extensive countertops with enough space to sit up to 5 people.Featuring 3bed & 2bath(with enough space to accommodate a 4st bedroom) 2 car garage. !This is the perfect family home for entertainment and quiet living.Centrally located.YOU HAVE TO SEE IT BEFORE MAKING A DECISION. What an opportunity, take a look at this ranch style home, 4 bedrooms, 2 baths, 2 car garage in a country setting on lush 1 acre. open layout, spacious interior, lots of fruits trees, soft water system. This home ideally located for privacy & comfort. 5 stall barns, Plenty of space to keep all your recreational vehicles. Close to schools, parks, restaurants, malls & highways. Home offers 4 bedrooms 3 Full baths 2 car garage on a corner lot with room for an RV and boat, state of the art security system, updated kitchen with granite counter tops and stainless steel appliances, updated bathrooms, master bathroom is extremely spacious (11x12), Dual (2) central AC systems Beautifully landscaped yard ACCORDION HURRICANE SHUTTERS, newly added pool with self chlorinating system, home is wired for generator. Beautifully kept 5 bed 4 bath and 3 garage home, on a cul de sac and in the desirable neighborhood of Nautica. With travertine marble on the first floor and travertine marble on bottom bathroom with a custom sink. The kitchen features granite counter tops, an island and stainless steal sink and faucet. The property also has a dual staircase and custom built soundproof music recording studio room downstairs. 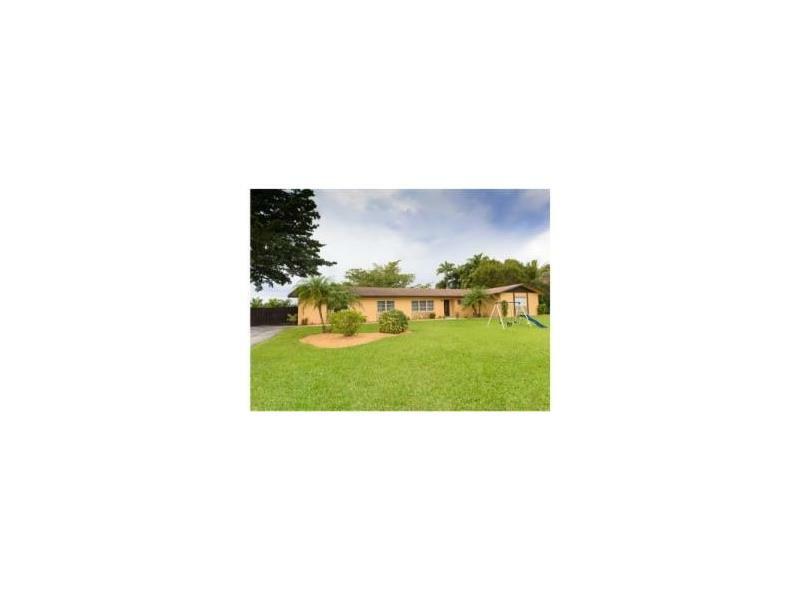 Seller very motivated.5 bedroom 4 bathroom single family home with 2 car garage. Two story house.1 bedroom and 1 bathroom in the first floor. Tile flooring throughout the entire living area of the house and very nice carpet in the bedrooms. Plenty upgrades with granite kitchen.A/C unit.3 years old Great floor plan, spacious, beautiful perfect for family get together. The yard in this house is amazing, spacious enough for a pool and more. This property is located near shopping centers and major road ways. 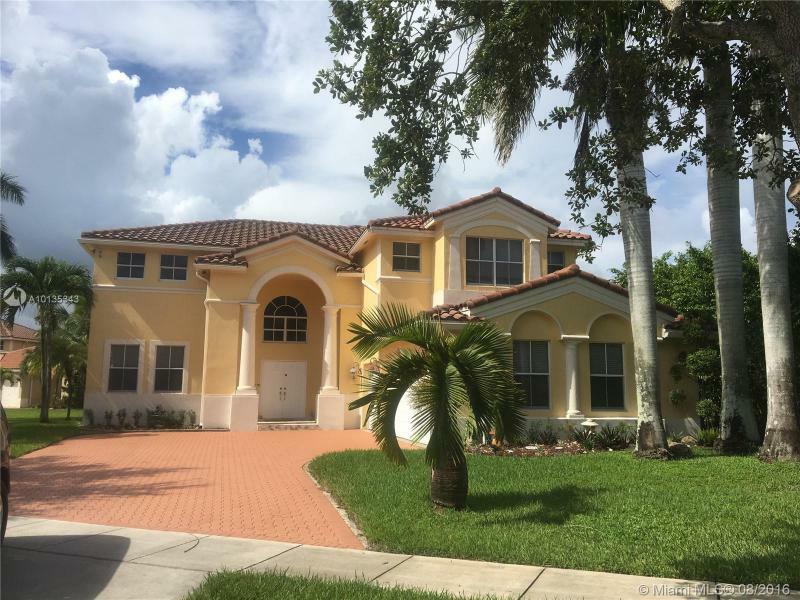 Central location in beautiful home in Westchester, completely updated after Hurricane Wilma 4/3 (all legal) huge yard, plenty of space for a pool and a boat ! Has two master bedrooms and plenty of space ! Potential for converting to a rental income. Listing agent has an interest in the property. 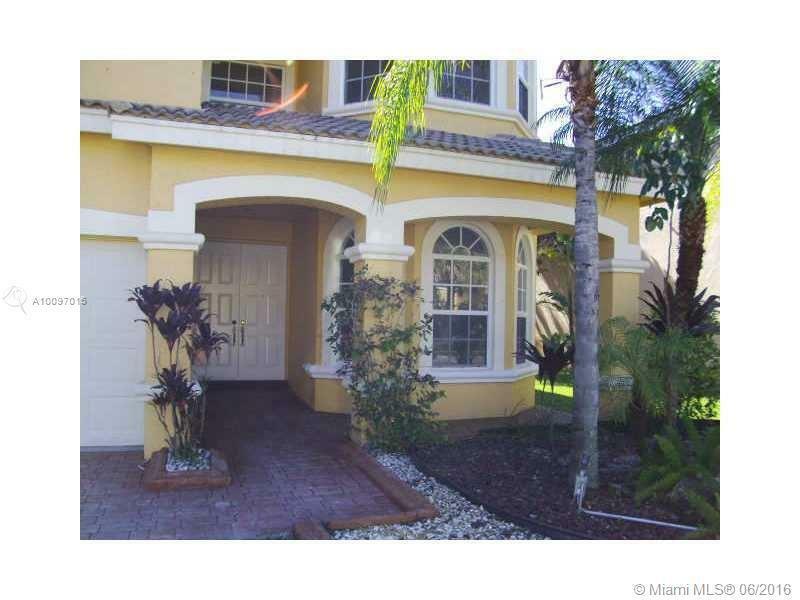 A great family home in the luxuriant family oriented community of Pembroke Shores. 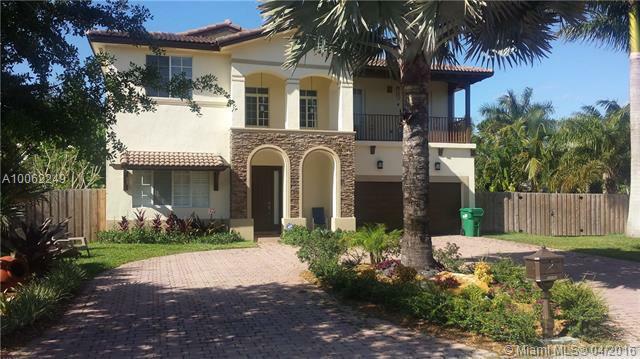 This remarkable 6 bedroom 4 bath home flourishes an open floor plan with large living and family room areas. Great open kitchen w/ granite counter tops. Volume ceilings. 1 Bedroom/1 bath downstairs. Huge home with 3- car garage and a pool. AS IS CONTRACTS.